In countless occasions we have seen near our home or around our neighborhood a park with different elements to make smooth exercise, specially dedicated to seniors. In this case, we talk about elements for bio-healthy parks that we have in Grup Fábregas. This type of spaces exerts very positive effects in terms of toning, coordination and cardiovascular maintenance through a series of machines that allow to perform smooth exercises. They are specially designed to prevent disease, because thanks to the exercises that can be carried out on the machines, the cholesterol level is reduced, there is an increase in the weight control and reduces the risks of injuries. Although they are specially intended for the use of seniors, they are recommended for the whole society because they are very safe and easy to use. They are used as a therapeutic, recreational or sporty element. In addition, the possibility of carrying out the outdoor exercises is good and it offers an alternative to those people who do not want to go to a closed gymnasium. Outdoor Gyms ESQUI DE FONDO WD-010425. To develop strength and coordination of arms, legs and waist. It strengthens heart and lung functions. 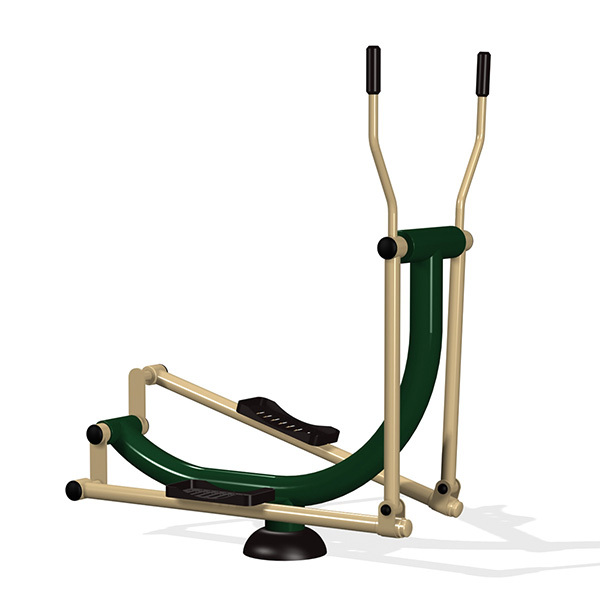 Outdoor Gyms ELEVADOR WD-010471. It strengthens and expands the bottom, it also is an aid in the rehabilitation of injuries. Outdoor Gyms EL CIRCULO WD-010488. It develops the shoulder muscle strength, improves agility and flexibility of arm joints. Outdoor Gyms PASEO DOBLE or PASEO SIMPLE. They develop flexibility and coordination of the bottom. To see more of our bio-healthy products, you can click on the following link. If you need more information about our services, you can contact us by clicking on this button.